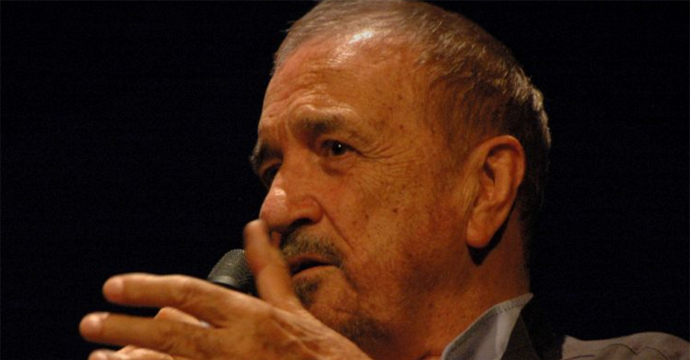 In recognition of a unique and dedicated contribution to the world of film, the European Film Academy takes great pleasure in presenting Jean-Claude Carrière with the LIFETIME ACHIEVEMENT AWARD for his outstanding body of work. The French novelist, screenwriter, and actor started out writing short novels based on the films of Jacques Tati. Through Tati he met Pierre Étaix with whom he made several films, among them the short HAPPY ANNNIVERSARY (1962) which won them an Oscar. Together with Luis Buñuel, Jean-Claude Carrière wrote the screenplay for DIARY OF A CHAMBERMAID (1964), in which he also played the part of a village priest. This started a 19-year-collaboration on the scripts of almost all of Buñuel’s later films, including BELLE DE JOUR (1967), THE MILKY WAY (1969), THE DISCREET CHARME OF THE BOURGEOISIE – for which they received a BAFTA for Best Screenplay – (1972), THE PHANTOM OF LIBERTY (1974) and THAT OBSCURE OBJECT OF DESIRE (1977). He received another BAFTA for THE UNBEARABLE LIGTHNESS OF BEING (1988) which he co-wrote with the film’s director Philip Kaufman and a French César for his collaboration on the script for THE RETURN OF MARTIN GUERRE (1982), directed by Daniel Vigne. In 2015, Jean-Claude Carrière received an honorary Oscar. He also collaborated on the screenplays for THE TIN DRUM (1979) and for SWANN IN LOVE (1984), both directed by Volker Schlöndorff, for CYRANO DE BERGERAC (1990), directed by Jean-Paul Rappeneau, and for MAY FOOLS (1990), directed by Louis Malle. In the more recent past, he co-authored the screenplay for BIRTH (2004), directed by Jonathan Glazer, was script adviser for EFA Winner THE WHITE RIBBON (2009), directed by Michael Haneke, and was one of the authors for last year’s EFA Selection entry IN THE SHADOW OF WOMEN (2015), directed by Philippe Garrel.